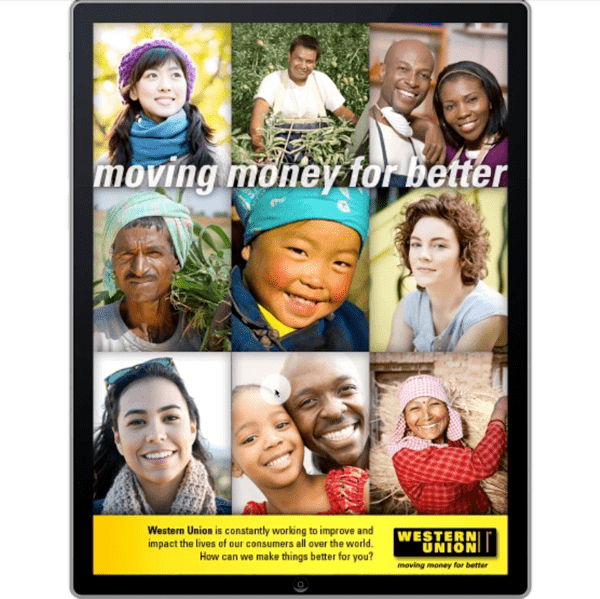 Western Union asked Unified Field to work on a number of projects. 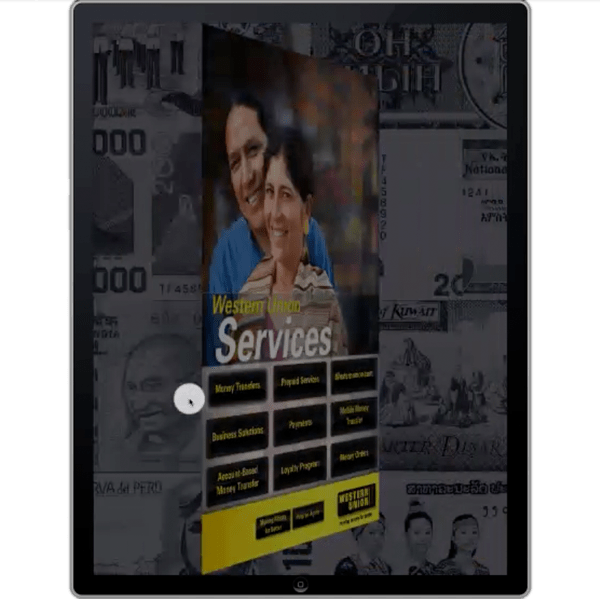 I had to help build a passive data visualization wall for the lobby of a building on their corporate campus and create an iPad app that covers their services. The client handed us data sets of global transaction data going back about 7 years – money being sent from country to country – as spreadsheets that I melded into a MySQL database and included country GPS information. 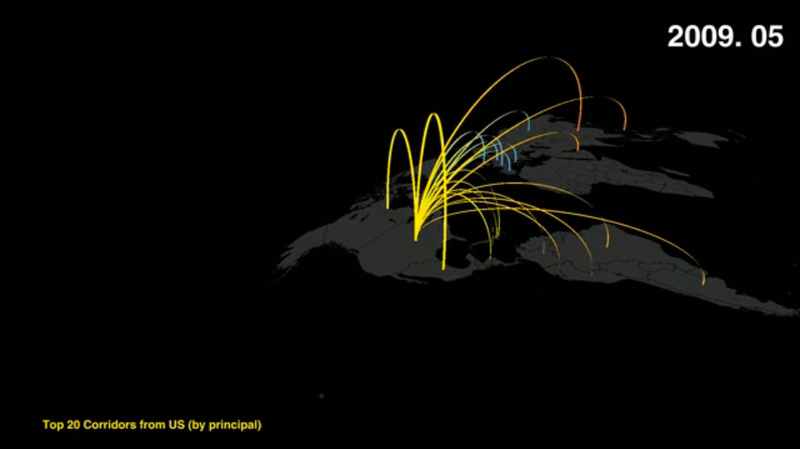 Initially I tested the limits of some of the data by feeding it into a prototype data viz that showed it layered over a Global Google Map API. 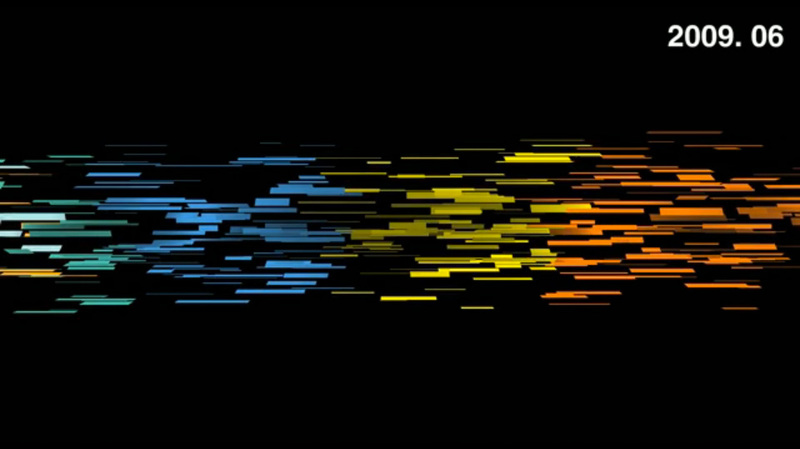 The graphic designer also used these to see the scale and difference in numbers before creating the final design. 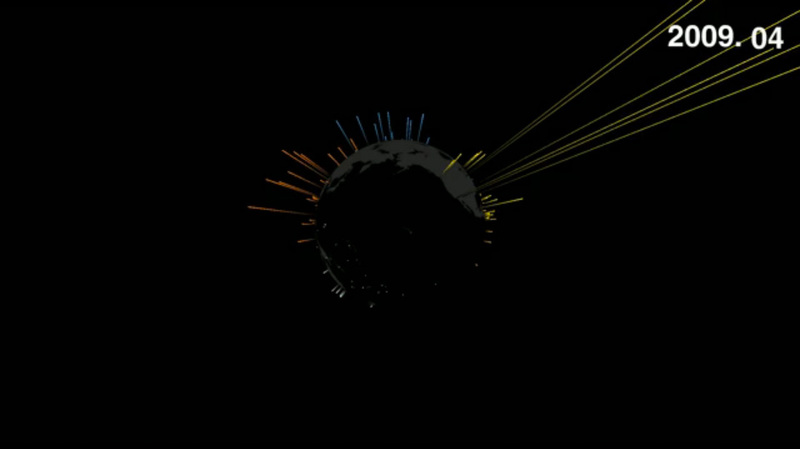 They ultimately wanted a system that sometimes showed the data more abstractly and at other times drew more literal relationships by illustrating data over a map and globe. 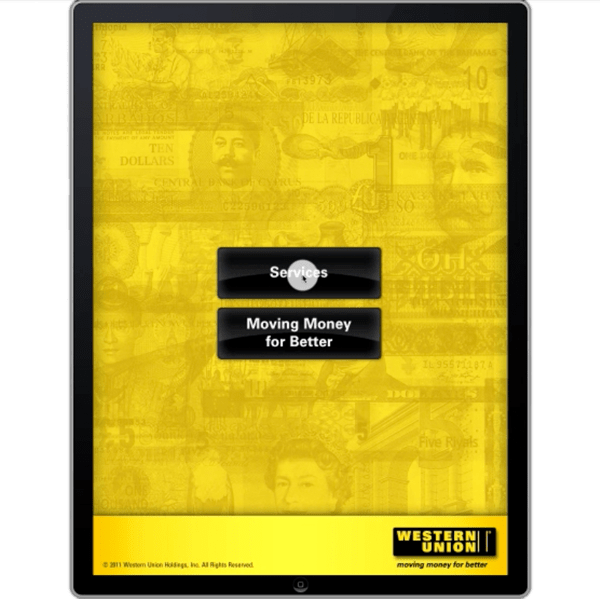 Country to country data – top 20 US outbound transactions. 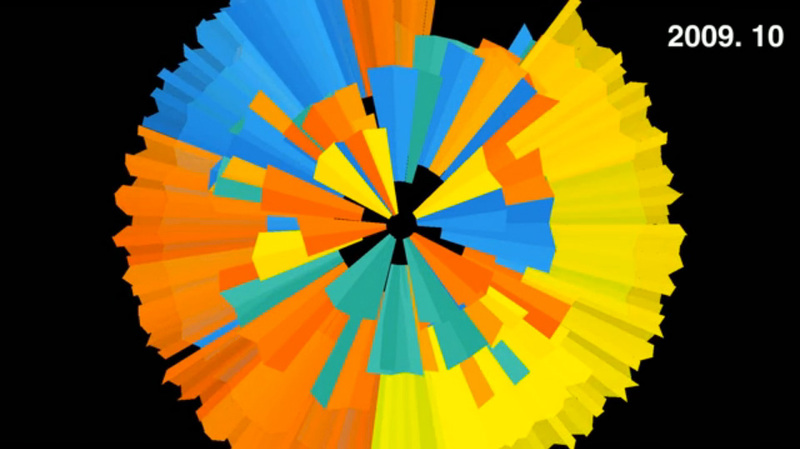 © Unified Field Inc.
Abstract data example, the continent comparison (by color) stands out most in this view. 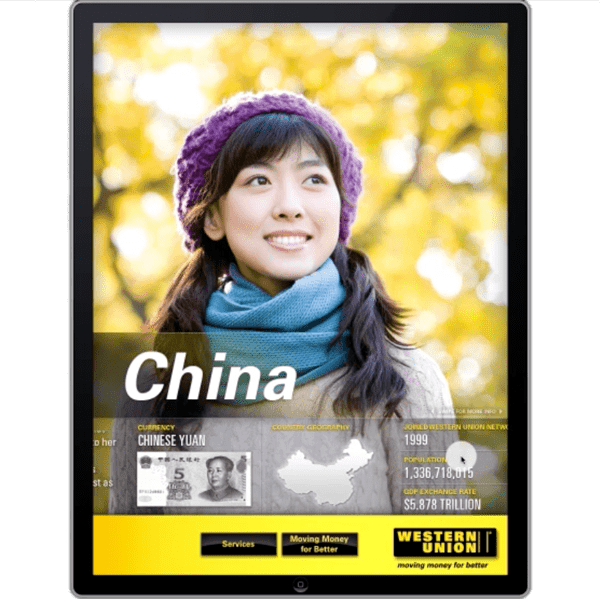 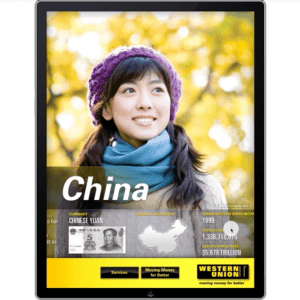 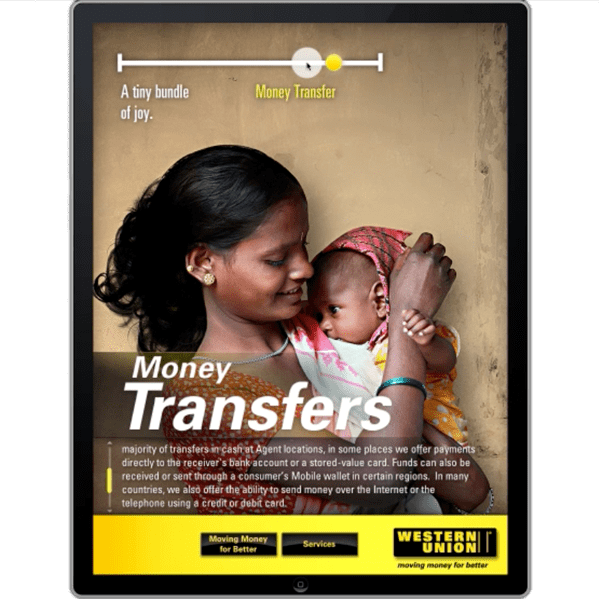 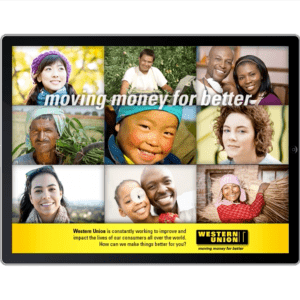 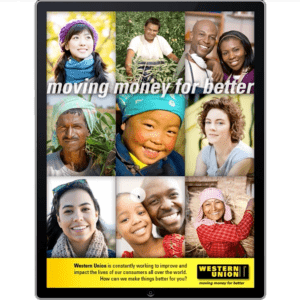 © Unified Field Inc.
Western Union also needed an iPad app that could describe some of the main services offered by the company and present the services through the narrative global users. 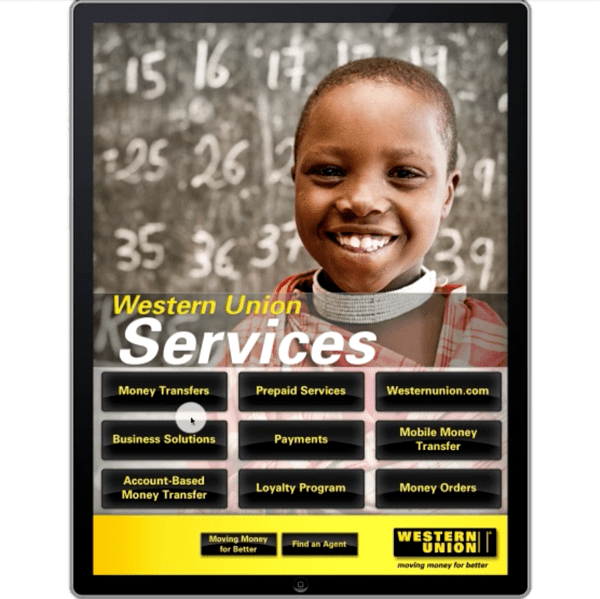 The app could also access existing Western Union sites that had more information and linked to the countries on google maps without exiting the app.